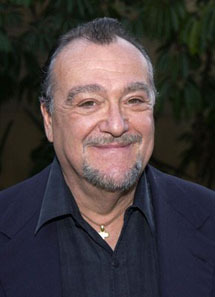 The son of famed Italian horror maestro Mario Bava, Lamberto Bava was born in Rome on April 3, 1944. Inheriting the combined creativity of his sculptor/painter/cameraman grandfather Eugenio as well as his hardworking father, Lamberto took his first step into terror cinema by working as assistant director on 1965's Planet of the Vampires. The next fifteen years were truly a time of apprenticeship for Lamberto, who found work as AD on a variety of his father's own horror films (including 1971's Bay of Blood and 1977's excellent Shock, et al) as well as assisting other directors such as Ruggero Deodato and Dario Argento. Having ramped up with contributions to Inferno and Cannibal Holocaust (both 1980), Lamberto took his directorial bow the same year with the ultra weird psychothriller Macabro. Macabro (AKA Frozen Terror) tells the twisted tale of a deranged woman who can't bear the thought of parting with her dead lover...and so takes to sleeping with his severed head. Lamberto gives life to his first solo effort, injecting Macabro with a creepy sense of genuine decay altogether missing from horror of the recent past. After assisting Argento on the 1982 slasher Tenebre, Lamberto plunged headlong into perhaps his best full fledged film to date: 1983's A Blade in the Dark (also known as The House with the Dark Staircase). In Blade, film composer Bruno (Andrea Occhipinti) is working on the score for a new thriller and retreats to a huge secluded villa. But once there, a mysterious killer begins stalking various young women...and Bruno finds himself trapped in a confusing web of secrets. Can he decipher the whole mess before the madman reaches him? Initially conceived as four 25-minute segments produced for Italian television, Blade is ultimately a masterful blend of solid last-gasp giallo and typical '80s American slasher. Bava's next horror project was the zombie one-two punch Demons (1985) and its sequel Demons 2 (1986). Both produced by Argento, these gory (if slightly overrated) entries are enjoyable living dead fare helmed by Lamberto and worthy late nite fodder. In between Demons and Demons 2, Lamberto returned to the giallo format with 1986's You'll Die at Midnight. Produced for Italian television, You'll Die concerns a police detective accused of killing his adulterous wife. But after he meets an untimely end...a rash of unexplained murders continue unabated. So who's the killer? Next up for Lamberto was 1987's mildly interesting giallo Delirium (aka Photos of Joy) starring Serena Grandi. A series of brutal murders begin plaguing the staff at fashion magazine Pussycat. Each of the dead victims are photographed in front of a blown up picture of owner (and once model) Grandi. Which one of the loopy characters at Pussycat could be a homicidal maniac? Throughout the last half of the '80s, Lamberto found consistent work in Italian television helming a variety of hour long thrillers, as well as a handful of feature length TV horrors - most notably Until Death (1987) and The Ogre (AKA Demons 3). In 1989, Lamberto revisited his father's classic 1960 gothic horror Black Sunday. Receiving less than stellar reviews, Lamberto's La maschera del demonio failed to add anything to the Mario original and made mixed use of its cast (including fellow director Michele Soavi of 1994's Dellamorte dellamore AKA Cemetery Man). Bava's work throughout the '90s was largely limited to a family-oriented sci-fi/fantasy Italian TV miniseries entitled Fantaghiro. It's debatable whether Lamberto's work will ever reach a true zenith comparable to that of his father; but what is clear is that Lamberto's devotion to the horror genre remains steadfast at nearly four decades in the cinema. A respectful accomplishment all his own.